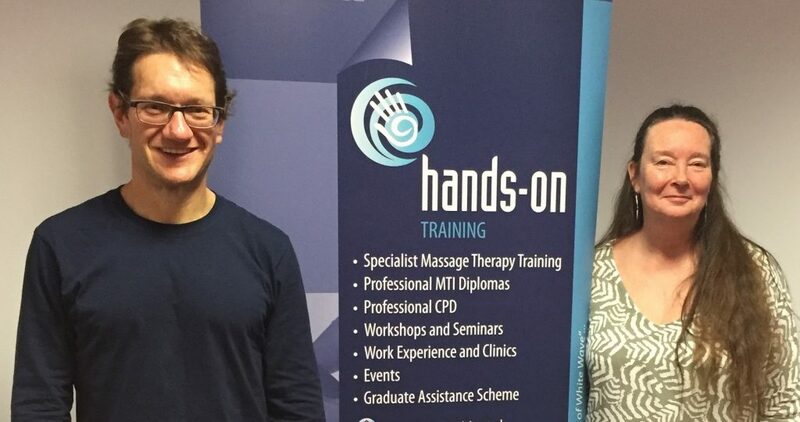 …the learning arm at White Wave, specialises in CPD workshops for qualified therapists; the MTI accredited Diploma Course in Holistic Deep Tissue Massage for those who wish to train professionally – and the MTI accredited Diploma Sports & Performance Massage for qualified massage practitioners and allied health professionals who wish to extend their knowledge and skill sets. Founded by Earle Abrahamson and Jennie Parke Matheson, Hands-On Training focusses on learning through doing and uses an interactive approach to engage therapists with therapy learning and professional development. Through a range of workshops, Hands-On Training aims to develop both clinical and business skills by promoting a culture of excellence, networking and scholarship.